TEHRAN, Iran Iran's official news agency is reporting that a gunman has shot and killed a deputy industry minister. The report Sunday by IRNA said Safdar Rahmatabadi was shot twice in head and chest that night in an eastern neighborhood of Tehran. The report quoted police as saying they believed the deputy minister was shot by someone traveling with him in his car. Police said they had begun an investigation. No group immediately claimed responsibility for the attack. 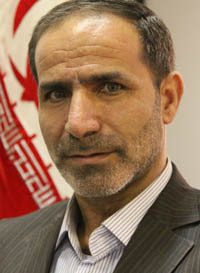 Rahmatabadi was not a well-known public figure in moderate President Hassan Rouhani's government. This is the second attack in recent days on a government official in Iran. On Wednesday, a gunman killed an Iranian state prosecutor in a restive southeastern region near the country's border with Pakistan.